In Kansas, real estate agents have specific requirements they need to meet to continue working. Whether you are just beginning the journey of becoming a real estate agent or you are totally licensed and just have a few questions, this guide will help to answer some of your most pertinent questions. 1. How Can I Get My Kansas Real Estate License? You can obtain your real estate license by first meeting the essential requirements. First, you must be at least 18 years old and earn a high school diploma. You must also complete a 30-hour principles course in addition to a 30-hour practice course. Next, you must pass a KBI and FBI background check with your fingerprints. Certain felonies may prohibit you from becoming a real estate agent. Within one year of taking your classes, you must sign up for and pass the real estate exam. The exam focuses on Kansas principles and practices in addition to national rules. Finally, you can submit your real estate license application. Accuracy is key to ensure that your license arrives in a timely manner. 2. How Do I Change My Name or Contact Info on My License? If you change your name, you must report it to the Kansas Real Estate Commission with 10 days. You should also change your address or other contact information via the REL-100 form within 10 days. You should also note that if your new last name begins with a different letter, you will be put in a different renewal group with a new license expiration date. 3. How Do I Renew My Real Estate License? In order to renew your real estate salesperson license, you must complete 12 hours of continuing education each renewal period. Of these 12 hours, three must be part of course courses. An exception is made for all new salespeople who receive their first license within five months of the renewal date. Once you meet your educational requirements, you are eligible to apply for your license 45 days ahead of the deadline. Your education should be sent to the commission from the school, and you will be able to fill out the necessary forms online. 4. Can I Renew an Inactive Real Estate License? You can renew an inactive license in Kansas to reinstate your career as a real estate agent. You will need to demonstrate proof that you have completed the necessary continuing education to renew your license. If you have questions about the process, you can contact the Kansas Real Estate Commission. 5. How Do I Schedule a Real Estate Exam in Kansas? 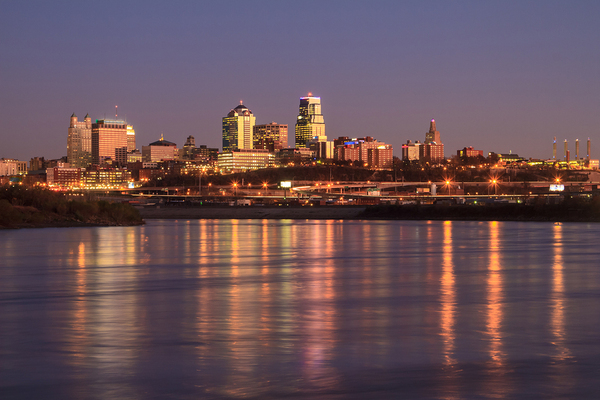 All Kansas real estate exams are administered via Pearson Vue. You can schedule your exam and register through the website. You can also pay the exam fees, which are not accepted at the testing site. Walk-in tests are not allowed. Are you interested in learning more about pursuing your real estate career? Do you want to keep your license or focus on a real estate niche? Contact us for more information about your studies and real estate education options. Few careers allow for the same freedom as that of the real estate agent. 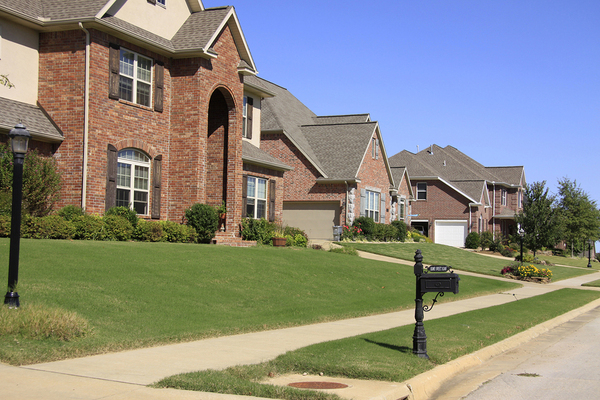 In Missouri, the process of obtaining a real estate license is fairly straightforward. Following the steps efficiently will help to grant you all the benefits of a real estate license, including the open schedule and opportunity for advancement. In fact, a real estate career can be quite rewarding in Missouri. These steps will help you achieve your Missouri real estate license as efficiently as possible. The first order of business on the way to obtaining a real estate license in Missouri is to be 18 years or older. It is also advisable that you have your high school diploma or its equivalent. This background will help you not only in the coursework but also in your career. Additionally, you must agree to a state and federal criminal history background check. This means that you must go in for fingerprinting. This process takes about 10 minutes, and you need to bring your photo ID card to the appointment. The presence of a criminal history does not preclude you from becoming a real estate agent automatically. The real estate commission will make a decision based on the type of offense, how long ago it occurred, and whether or not there is a pattern of criminal history in the background check. In order to prevent backlog at the commission, all real estate license applicants are advised to submit fingerprints around the time they take the real estate examination. You can make an appointment ahead of time, however. You are also required to pay for the background check at the fingerprinting exam, and this fee is not refundable. The 48-hour pre-exam real estate course will help you learn about the industry. The coursework here is extremely valuable for your future as a real estate agent. In these courses, you will learn about the principles of real estate, including time management, property valuation tactics, processes of buying and selling, and financing concerns. These are all important issues that you will come across as a real estate agent in Missouri. These courses must be taken at an accredited school. A list of accredited schools for your real estate coursework is available through the Missouri real estate commission’s website. You will be able to take these courses either online or in person. Courses taken online are generally more affordable than courses taken at a brick and mortar school. An exception is made for licensed attorneys who are able to pass both portions of the real estate examination. If you have an active real estate license in another state, you can pass the pre-exam course and simply the practice course and pass the exam. Studying for the Missouri examination is essential. It can be difficult to remember specific facts and figures, but the real goal is to remember the logical conclusions and objectives of the course you have taken. The exam will cover topics ranging from legal aspects of real estate to performing the required math for real estate transactions. The Missouri real estate examination is administered via computer at one of four testing centers in the state. Testing centers are situated in St. Louis, Kansas City, Jefferson City, and Springfield. AMP is responsible for administering the test five days each week and one weekend each month. You must make an appointment and pay the test administration fee first. Missouri is a beautiful state with much to offer in the realm of real estate. The 24-hour practice course, also known as the Missouri Real Estate Practice Course, can actually be taken before the examination, but it can also be taken immediately after the pre-exam course. The coursework taken in this shorter course will teach you to how to put principles into action. The practice course will teach you how to apply principles to your career. This is where you learn more about the business of real estate as well as how to take steps toward building your career with active measures. You will also learn best practices for pricing and listing in addition to how to address and best counsel your clients. You will also learn how to fill out and use paperwork. The final step in the process of obtaining your real estate license is to submit an application. You must submit your application within six months of completing your coursework. The application can be found online, and you will submit it to the real estate commission. It is essential that you communicate clearly on your real estate license application. Any miscommunication or misleading statements could ultimately lead to dismissal of your application or delay. Be as clear as possible in your answers to avoid any chance that the commission will turn down your application. It is also important that you are honest about your criminal background, especially because the background check may prove that you have lied. Certain convictions that may prevent you from becoming a real estate agent include felonies and crimes that include sexual assault. Financial crimes are also a major consideration of the commission. As part of working in the real estate field, you will be required to continue your coursework in order to renew your license. Every two years, Missouri real estate agents are required to take 12 hours of continuing education courses in order to remain practicing. Three of these course hours must be approved by the Missouri Real Estate Commission as a core course. The rest of the courses may be elective or core courses. Continuing education courses will assist you in the process of upping your real estate career game as well. Contact us for more information about real estate courses in Missouri. Whether you are studying to become a Washington real estate agent or you are already working as one, you surely have a learning curve to take on. There is a lot to working as a real estate agent in Washington, and there is no doubt that you will have questions as you begin your journey toward a new career path. This guide will help to answer some common questions new real estate agents have. 1. How Do I Register to Take the Real Estate Exam? In Washington, the real estate exam is administered by Applied Measurement Professionals, Inc., also known as AMP. In order to register, your school will send information about your course completion to AMP once you create an account. Once AMP receives confirmation that you have completed the educational requirements, you can schedule your exam. 2. What Should I Bring to the Real Estate Exam? When you go to the testing center to take the real estate exam, you must bring two forms of current identification. Both pieces of identification must include your name and signature. One form of ID must have a current photo. Without the proper identification, you will not be permitted into the testing center. 3. How Do I Update Real Estate License Information? The first step to updating your contact information or name on your real estate license is to login to your account via Washington’s Real Estate Commission. The next screen you will see is your dashboard, which features a link where you can click “Update.” Once there, you will see straight-forward directions on how to update your name or contact information. If you choose to change your name, it will take place right away and you will receive a new license in the mail. If you mean only to update your contact information, you do not need a new license. 4. What Do I Need to Do to Renew My Real Estate License? In Washington, real estate licenses expire every two years, but you can renew them as soon as 120 days before expiration. You can do all of this online or mail in your application for renewal. You will need our license number, method of payment, and updated contact information. In order to complete the renewal, you must complete your continuing education requirements. The school will automatically forward the information to the real estate commission. You must also answer several questions about your criminal history and possibly submit another fingerprint scan for a background check. Washington’s gorgeous homes are waiting to be sold. You could be the one to match them with new, doting owners. 5. 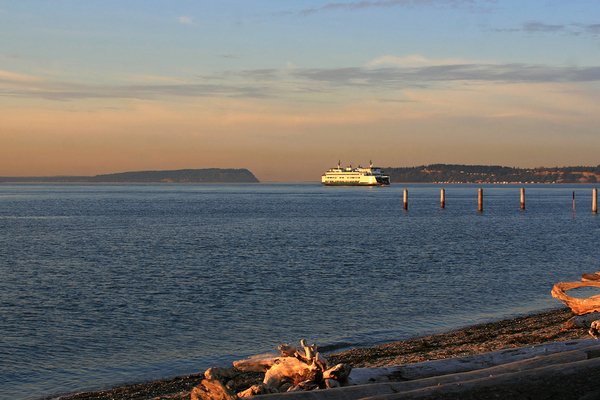 What Are Educational Requirements for Renewing a Real Estate License in Washington? Your first active renewal is different than the following two-year periods. The first time you renew, you must complete at least 90 hours of continuing education. This includes 30 hours of Advanced Practices, 30 hours of Real Estate Law, and 30 hours of other continuing education. After the first renewal, you must complete 30 hours of continuing education every two years, including a three-hour core course. This means that you need to find a real estate school you look forward to working with. The school you attend should offer a high percentage rates of students passing tests and exams. Additionally, the school should offer state-approved courses. We offer high-quality courses that help you focus on a niche and renew your license. Contact us for more information about how you can focus on your real estate education. Once you have completed all the steps to receive a real estate license in Washington, you certainly want to keep it. The process of making your license active again once it has gone inactive is not as simple as renewing an active license, so it pays to look ahead. In Washington, real estate licenses expire every two years. In order to renew your license, you can mail your application or renew online. This guide will walk you through the steps you need to complete in order to renew your real estate license as efficiently as possible. You are able to renew your real estate license 120 days before the expiration date on your license. This means that you can start preparing well ahead of time to avoid running too late and seeing your license go inactive. You should receive notice that you need to renew your license well in advance so that you are reminded. In order to follow through with license renewal, you should have on hand your license number, credit or debit card, criminal history documentation, and any new contact information. Compile all of this information and documentation when you sit down to renew and pay for your license. In order to renew your license, make sure to complete your educational requirements. If you have had an active license and renewed your license before, you must complete at least 30 hours of education with at least three hours in a core course. At least 15 course hours must be completed within 24 months of your renewal date. If this is your first time renewing your Washington real estate license, you must complete at least 90 hours of continuing education. This includes a 30-hour course in Advanced Practices and a 30-hour course in Real Estate Law. You must also take a three-hour course in a core subject and 27 hours of education in approved electives or core courses. If you are a managing broker, you are also required to complete 30 hours of education, three of the hours being core material. The requirements are very similar to those for renewals for other brokers, but the coursework will be more on par with management needs. If you love working as a real estate broker in Washington, education serves the purpose of helping you follow your dreams too. You are required to answer a series of questions about your criminal history and provide documentation ever once in a while. Every so many years you will also be asked for fingerprints for another background check. In the meantime, it is essential that you report any new criminal charges to the real estate commission. Failing to do so may result in discipline or revocation of your real estate license. The sooner you complete your continuing education, the easier it is to renew your license. Start taking classes now to prepare for your next renewal cycle. We offer online classes that will allow you to achieve your goals quickly and efficiently — all on your own time. Contact us for more information about taking courses that help you pursue your education as a real estate broker or managing broker. Working as a real estate agent in Montana provides plenty of freedom and choice in your work day. As a real estate agent, you will be allowed to set your own schedule and work at a pace that suits you. You choose when to meet with your clients, and you have the freedom to make money based on a per project basis. In order to work this type of position, you must be licensed to operate as a real estate salesperson in the state of Montana. This guide will walk you through the process of obtaining a real estate license. In order to work as a real estate agent, you must meet some basic requirements. This includes completing high school at the 10th-grade level or higher. You must also be at least 18 years old. The more education you have, the easier it will be to obtain your license. For this reason, it is often better to complete a high school degree or to obtain a GED. Your first real step in pursuing your real estate license is to complete your educational requirements. You must fulfill 60 hours of study related to the principles and practice of real estate. In these courses, you will learn more about writing real estate contract, counseling buyers, disclosing essential information to clients, and pursuing ethical courses of action. This coursework is designed to help you succeed as a real estate agent. Courses centered on the principles of real estate will teach you how to understand the basic concepts of buying and selling a home. You will learn the basic rules, whereas the class in real estate practice will help you put all this knowledge to use. The real estate course must be state-approved in Montana. A state-approved course will best serve you because it will prepare you for the examination. It will be focused on both state and national information you will be expected to understand for the test. The Montana Real Estate Exam has two sections, the national and state portions. You must pass both portions in order to obtain your license, but if you fail one section you can retake it later. The purpose of this test is to ensure that you have a good understanding of real estate principles and practice. The national portion of the exam includes 100 questions and covers topics like financing, surveys, property taxes, real estate ethics, and contract law. It focuses on the topics that tend to be consistent throughout the United States. The state portion of the real estate exam has between 32 and 40 questions. This segment focuses on Montana’s real estate licensing laws, deed information, foreclosures, and rules regarding landlords. This part of the exam tests your ability to understand state regulations and laws. You can register for the Montana Real Estate Examination via the AMP website. It is important that you register at least four days in advance, during which time you will pay the exam fee of $106 as of 2017. For best results, you should plan on taking the exam soon after your pre-licensing course. This will help to ensure that you do not forget essential information. You must score at least 70% on the national portion of the exam and 80% on the Montana portion. Each section is scored separately. You will find out shortly after the exam if you have passed or not. When you work as a real estate salesperson in Montana, you are required to work alongside a qualified real estate broker. The broker will supervise your work, teaching you the steps of each type of real estate transaction. In return for training you and providing you with the foundation for the rest of your career, the real estate broker will receive a portion of the commission you receive. Selecting the right broker to sponsor you is important. You will be working closely together, and you need to ensure that you are a good fit. Clear communication and strategy are important aspects of working in a broker’s office. You may choose to interview with several different brokers before choosing the best one to suit your needs. In selecting a broker, it is also important to consider your ideal niche. It is a good idea to find a broker who deals with the same type of clients that you want to work with. For instance, if you want to focus on buying and selling condos and vacation homes, you want to find a broker who focuses on these types of transactions. Much of the coursework involved in becoming a real estate agent in Montana can be completed online. You must submit your real estate application to the Montana Board of Realty Regulation, which is located in Helena. Make sure that you complete the application as accurately as possible to prevent any delay in the processing of your real estate salesperson application. You should also avoid lying about anything in the application, as this may result in denial in your application. Your supervising broker will be required to sign your real estate sales application. You will also be asked to provide proof that you completed your coursework and passed both portions of the real estate exam. Continuing education is a major factor in your real estate career, whether you go on to become a real estate broker or you want to renew your license. In order to renew your license, you need to complete 12 hours each year, four of which are focused on mandatory topics. The remaining hours may be electives, and you can focus on coursework that appeals to you. We offer courses that fulfill Montana’s continuing education requirements. When it is time to renew your real estate salesperson license, it is simple with online courses. Contact us for more information about pursuing your real estate career today! As a Pennsylvania real estate agent, you have a lot on your plate. Keeping up with the nuances of renewing your real estate license is a lot to handle, whether this is your first time or your tenth. This guide will answer many of the common questions real estate agents in your state have. 1. What Do I Do if My License Has Been Inactive for Five Years? If your license has been expired for five years or longer, you will be required to take the real estate licensing exams again. Before registering for the examination, it is important that you submit a form called Request for a Certificate of Exam Eligibility available through the Pennsylvania Real Estate Commission’s website. The commission will then notify you of the steps you need to take to take the state and national exams again. 2. What Are Real Estate Salesperson Requirements in Pennsylvania? Pennsylvania real estate agents are required to complete two 30-hour courses in order to practice. The courses are titled Real Estate Fundamentals and Real Estate Practice, and they must be taken at an approved institution. 3. What Are Real Estate Broker Requirements in Pennsylvania? Real estate brokers in Pennsylvania must be at least 21 years old and hold a high school diploma or the equivalent. Additionally, brokers must complete 240 hours of real estate education through commission-approved institutions. Essential coursework for brokers includes Real Estate Office Management, Real Estate Law, and in topics like Valuation of Residential Property, Real Estate Sales, and Non-Residential Property Management. 4. What Do Real Estate Salespeople Need to Do to Renew a License? In order to renew your real estate license, you need to complete at least 14 hours of approved continuing education. These courses must be completed through a commission-approved provider. All coursework must be completed during the renewal period. The exception is if you are renewing your license for the first time. This requires a specific set of education requirements including a general module in addition to a specific module. You can opt to follow the commercial or the residential module depending on your career path and niche. 5. Does Pennsylvania Have Reciprocity with Other States? Yes, Pennsylvania does offer license reciprocity with other states. These states include Arkansas, New York, Georgia, Massachusetts, Louisiana, and Maryland. When you renew your real estate license, you also renew the opportunity to help consumers achieve their dreams. 6. If I Have a Bachelor’s Degree Do I Need to Take Real Estate Courses? Generally, real estate license applicants who have majored in real estate or who have taken real estate courses may have already met Pennsylvania’s real estate education requirements. 7. What Should I Know about the Real Estate Testing Center? One of the first things you should know about the testing center is that you need to arrive early to ensure that you are checked in before test time. You should also bring at least two forms of identification, one with a photo. It is wise to leave personal items at home and only bring identification if possible. Ultimately, it is essential that you complete education before it is time to renew your license. Contact us for more information if you still have questions about pursuing real estate education. If you are a Pennsylvania real estate agent, you are required to renew your license regularly in order to continue working. Without an active license, you are not allowed to participate in real estate transactions like showing homes or completing contracts. If you want to retain your job as an agent in Pennsylvania, you need to understand the license renewal process. License renewals are due on May 31st in even-numbered years. Every two years, you need to make sure that you are meeting continuing education requirements. While this seems simple enough, some real estate agents are caught off guard by the looming renewal date. The process is now simpler because you can take the required courses online. Online courses make it easy to learn while you are also working in the office or at home. On the other hand, you may find a better learning experience when you study the material in a traditional classroom setting. The choice is up to you. Pennsylvania real estate agents are required to complete 14 hours of continuing education that is approved by the Real Estate Commission. Courses must be taken at an approved school in order for your coursework to count. If you take courses at an unapproved school, you will have to retake the courses elsewhere. If you are renewing your real estate salesperson license for the first time, you have specific requirements to fulfill. You must first complete the general module, which includes educational topics like zoning, duties of licensees, and environmental concerns. You must also select either a commercial or residential module as part of your studies. This will help you focus your niche so that you can better serve your clients, whether they are commercial or residential. Working with a broker gives you a leg up, letting you know how to renew your license in advance. You will receive a notice that you need to renew your license from the Pennsylvania Real Estate Commission at least two months before your license is due to expire. The notice is typically sent to the employer or broker you where you most recently worked. Of course, it is important that you obtain your continuing education requirements well in advance of the notice arriving. This gives you ample time to pursue your studies. If your real estate license is currently considered inactive, you must still take 14 hours of continuing education to reactive the license in one renewal period. You must then take another 14 hours of education to renew the license. If your license has been inactive for five years or longer, you must also pass a licensing examination again. No matter your circumstances, you can focus your studies in the course of renewing your real estate license. You have options in the courses you take, and your coursework allows you to find a niche and subjects you want to hone in on. This is good for you and your clients. Contact us for more information for more information about rel estate courses. No matter where you are seeking your real estate license, there are rules you are required to follow. 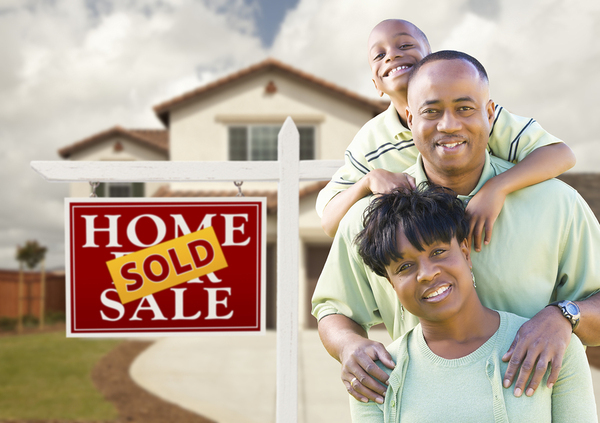 When you become a real estate salesperson, you can complete certain transactions, including closing real estate sales. 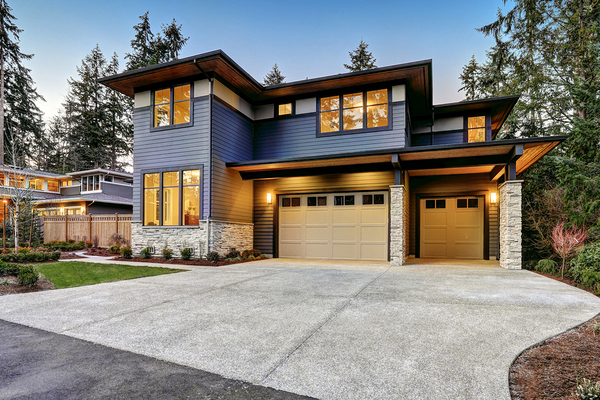 As an agent, you will be able to show homes, list homes, and close transactions at your own pace. The amount of freedom that this career path offers is surely alluring. Fortunately, the steps can be laid out simply, allowing you to chart out a path for your future career. This guide will help you receive your real estate license in New York, cluing you in from the first step to the last. You must be at least 18 years old to work as a real estate agent. Additionally, you may be subjected to license suspension if you are several months behind on child support or if you have certain criminal offenses in your background. It is also advised that you have your high school diploma or GED. You must also submit to a background check that will perform a search of your criminal history. While there are many criminal offenses that will not prohibit you from becoming a real estate agent, it is important that you are completely honest with the real estate commission to ensure that there are no snags in your application. Certain felonies may prohibit you from working in a licensed real estate capacity. Real estate agents in New York are required to complete 75 hours of required courses with a satisfactory grade. This required course is meant to prepare you to work in the field as well as to understand practical information about the New York real estate world. You will learn about topics that range from legal issues to documents real estate agents commonly fill out. This course is designed with the changing scope of the real estate industry in mind. A waiver may be available for some real estate agent prospects. If you have a bachelor’s degree in real estate, you may not have to take the salesperson course, for instance. This is up to the discretion of the real estate board, and certain courses of study may not be eligible for a waiver. If you have questions about real estate education, you can bring them up with the board or your school of choice. 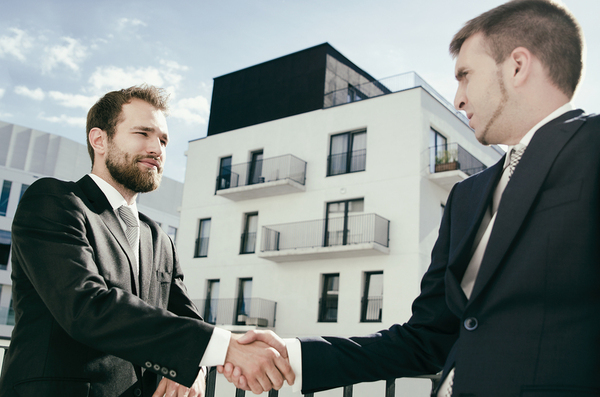 In order to work as a licensed real estate salesperson, you must be sponsored by a licensed broker. This broker is responsible for ensuring that you work to the standards set by the office and real estate board. He or she is essentially responsible for your actions during your first years as a real estate agent. You will also owe them a portion of your earnings during the time that you are under their care. The decision of which real estate broker to work with is not one to take lightly. You may be working with this broker or firm for many years to come, so it is important that you assess your options carefully. You can interview prospective brokers before choosing to work with them so that you can determine if you vibe well with the other agents working there. This can certainly take a toll on how successful you are in your new career. New York’s real estate examination is administered by the Department of State. Testing centers are situated throughout New York. When you arrive at the testing center, ensure that you bring two forms of current photo ID. These may include a driver’s license, state-issued ID card, military ID, or passport. You may also bring a calculator, so long as it is silent, does not have an alphabetic keyboard, and does not print. You may not bring a cell phone or similar electronic device. Additionally, the exam site does not allow large bags, reference materials, or books. The test itself consists of multiple choice questions based on the pre-licensing course. You will have 1.5 hours to complete it. The test covers topics learned in the pre-licensing course. While many students choose to take a test prep course, it is not a necessity for many. Studying the course materials may be more than enough to help you pass the exam. In order to pass the examination, you must receive a score of 70% or higher. You will know whether you passed the examination online after the test. You may not be given your exact score, but rather whether you passed or failed. 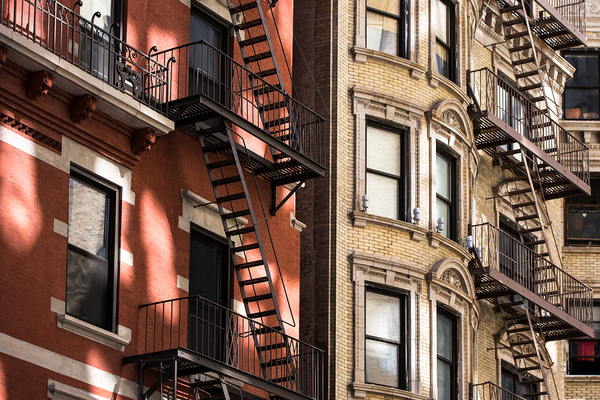 From apartments and condos to single family homes, New York has a lot to offer. The real estate sales application is simple enough, but it is important to be honest and open. If you are proven to have lied on your license application, you may be declared ineligible to have a license. The board prefers only to license individuals they feel will be trustworthy. Additionally, inaccuracies could make it more difficult to process your application. Make sure that you submit the necessary payment along with your application as well. Check and money order are typically accepted. Once your real estate salesperson license has been approved, you are required to complete 22.5 hours of continuing education each renewal period. Of these courses, three must related to fair housing and discrimination. The others may be elective courses based on New York real estate topics and regulations. These courses are meant to help you stay up to date on topics as the world of real estate revolves around you. When you are looking for real estate courses that will help you complete your continuing education requirements, you can count on PDH Real Estate to help you. Contact us for more information about taking real estate courses that will help you move forward in your career as a salesperson. Whether you are a new real estate agent or are still considering the career prospect, New York is a fantastic place to begin selling homes. Still in the process of pursuing real estate education? Are you preparing to renew your license for the first time? These FAQs will help you. 1. What Are the Benefits of Attending Physical Real Estate Courses? 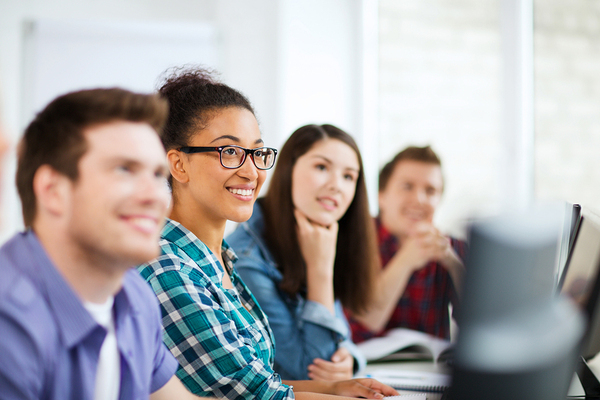 You can opt to take your real estate courses in a physical classroom. These courses tend to cost more than their online counterparts, and they may take about eight weeks. Many students connect better with the material when they learn it in a classroom. 2. What Are the Benefits of Attending Online Real Estate Courses? Online courses are an alternative to classroom options and offer a number of benefits if you have the right technology available to you. These courses allow you to work at your own pace. These courses also tend to be more affordable and work better with a work or family schedule. 3. How Many Questions Are on the New York Real Estate Exam? The state portion of the New York real estate exam consists of 75 multiple-choice questions. In order to pass the exam, you must score at least a 70. You will have 90 minutes to complete the test. 4. What Do I Need to Bring to the Real Estate Exam? You must bring two forms of identification, one being a valid form of government ID with a photo. This identification must be current and not expired. You may be allowed to bring a simple calculator, but it may not be necessary. Smartphones are not allowed. 5. How do I Renew my Real Estate License? You can manage your real estate license with eAccessNY. The secure website is used to handle all of New York’s occupational licensing. In order to renew your real estate license, you must also complete 22.5 hours of continuing education during each period. You must also pay for your renewal. If you fail to renew your license, you will not be allowed to conduct real estate transactions or participate in selling activities in New York. There is no grace period. You will need to pass the real estate exam for your license to be reinstated. 6. What Commission Should a Real Estate Agent Expect? There is no regulated commission established by the Real Estate Commission. You can negotiate the terms of commission and payment with your supervising broker. Education is the key to finding success as a real estate agent or broker in New York. 7. What Types of Courses Can Real Estate Agents Take? In order to renew your real estate license, you will be required to take continuing education courses in a number of subjects. These subjects might include fair housing, real estate ethics, representation, green housing essentials, broker management, and real estate finance. Real estate education can help you learn more about your profession. The coursework is also necessary to renew your real estate license. Contact us for more information for more information about being a real estate agent in New York. As a new or developing real estate agent in Florida, you are sure to have many questions about renewing your license, education, and more. While the process of becoming a real estate sales associate is relatively straight forward, there is still so much to learn about working in the real estate industry as a professional. This guide will walk you through some of the most frequently asked questions by new real estate agents in Florida. 1. How Do I Become a Real Estate Agent in Florida? In order to work as a Florida real estate agent, you must complete a 63-hour course, which may be taken in a classroom or online. You must also pass the state licensing exam and have an acceptable criminal background check. Before your first license renewal, you must complete an additional 45 hours of post-licensing education. 2. How Do I Become a Real Estate Broker in Florida? A real estate broker must have previously held a real estate sales associate license for at least two years within the last five years. The license also requires a 72-hour course and examination. After you receive your license, you must take an additional 60 hours of education to remain licensed. After the first renewal period, you must take 14 hours of continuing education. The renewal period occurs every two years. You can also use the Florida Real Estate Commission’s online portal to see the requirements and complete the renewal process. 4. Does Florida Offer Mutual Recognition with Other States? Mutual recognition allows real estate sales associates and brokers to obtain a license in both states without taking additional courses or the national portion of the state exam. These states include Alabama, Nebraska, Mississippi, Arkansas, Connecticut, Illinois, and Georgia. 5. Do I Have to Report Criminal Convictions to the Real Estate Commission? Yes. Within 30 days of being convicted or found guilty of a crime in any state, you must report it to the Florida Real Estate Commission. Failing to do so may lead to fines, license suspension, or complete revocation of your real estate license. The Florida Real Estate Commission is tasked with ensuring that each sales associate is right for the job. 6. What Happens if I Fail a Post-Licensing Education Exam? The coursework you complete after you are licensed as a real estate agent will require that you take examinations for credit. If you fail one of the exams, you must wait 30 days to retake it. If you do not pass on the second try, you must repeat the entire course. 7. What Happens if You Don’t Complete Your Sales Associate License Requirements? If you fail to complete the post-license education requirements in your first renewal period, your real estate license will become void. In order to have a license again, you must start over completely by taking the pre-license education and passing the state exam. Education is the key to persevering as a real estate agent. Real estate courses will help you stay up to date with trends and changes in Florida’s real estate industry. Contact us for more information about real estate coursework to renew your license.